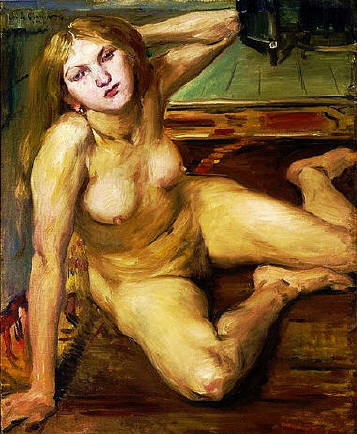 Cause of Death - suffered a stroke in 1911 but continued to paint. He caught pneumonia nine years later and died. Expressionist art was conceived in opposition of Impressionism. The Expressionist craved emotional drama, pure color and innovation. Modigliani asserted "My whole life has been spent walking by the side of a bottomless chasm, jumping from stone to stone. Sometimes I try to leave my narrow path and join the swirling mainstream of life, but I always find myself drawn inexorably back towards the chasm's edge, and there I shall walk until the day I finally fall into the abyss."